We set out on a rainy Oregon day and headed to the east side of Mt Hood, hoping for a break in the rain. We came across this abandoned one room schoolhouse at just the right time. Just north of Dufur, Oregon, Eight Mile School was built in 1904 and now sits alone and empty in the middle of a plot of farmland. The photo of the old school is perfect! I love discovering these old buildings of days gone by! Congrats on being a finalist in the contest! Good job!!! Congratulations on reaching that finalist spot! I've voted for you. great composition .. the rainbow, the school, and even the hill are appealing .. now I'm off to vote (smile). Beautiful capture of a wonderful subject - love the old schoolhouse.. 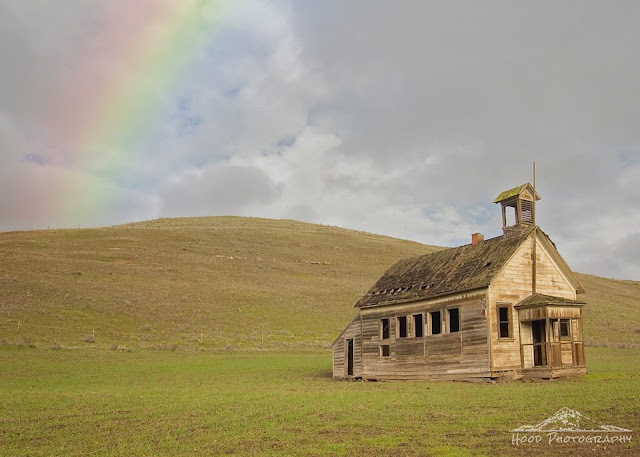 Pretty capture of the rainbow and the neat old schoolhouse! Great shot! Have a happy weekend! The little schoolhouse is so attractive with the rainbow in the background. It almost looks like a little church. It's a really fantastic photo! Beautiful shot of the old school. I have relatives in Idaho whose parents attended one room schools deep in some of the mountain valleys. Love this image a lot! What an incredible shot! Even managed to capture a rainbow!! What a wonderful image. This is a winner too in my book. 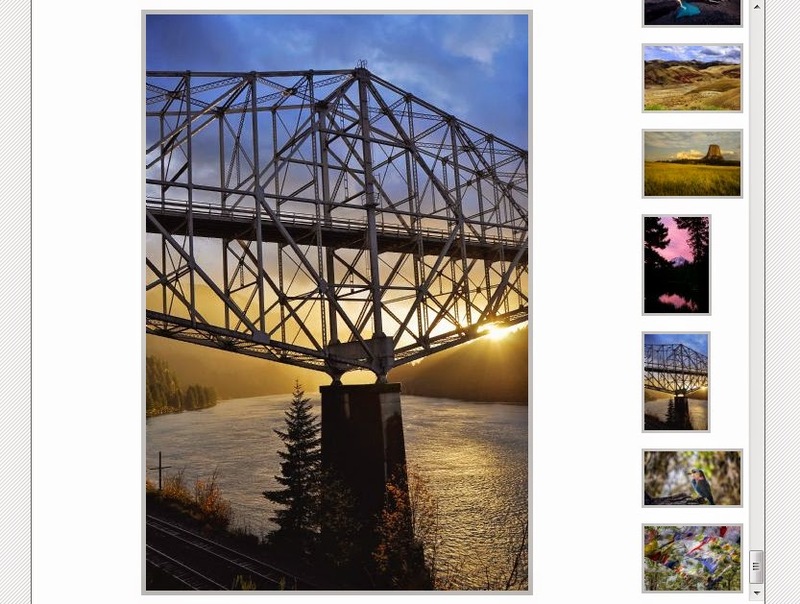 Hope you win the photo contest.